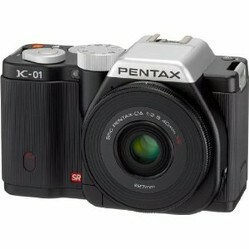 The Pentax K-01 is a new interchangeable lens camera for 2012 which is compatible with existing Pentax lenses. The Pentax K-01 is Pentax's offering to the increasinly popular mirrorless interchangeable lens camera category. 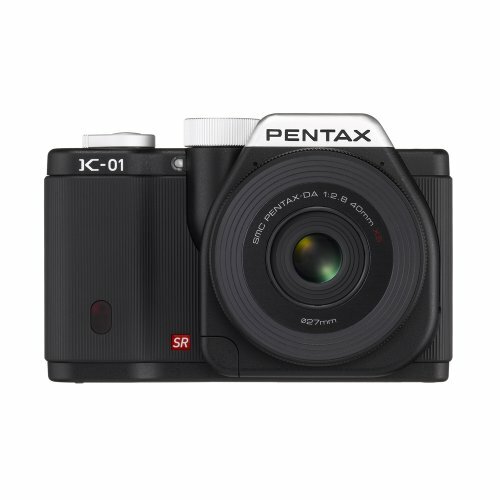 The Pentax K-01 is available to preorder from February 2012. 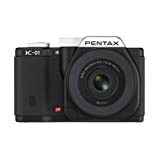 The key features are a camera body designed by Marc Newson, a Pentax K-Mount lens fixture that accepts existing Pentax lenses and a very slim 40mm lens included in a starter package. Presumably one of the reasons you're interested in an interchangeable lens camera is the smaller footprint compared to a DSLR. 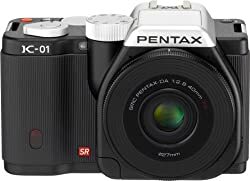 At 2.28 inches thick the Pentax K-01 is a chunky box of a camera, albeit with clever styling, but with it's very thin lens it comes in smaller than a DSLR and it's 4.8 inch width is pretty small. It's compact and packs a lot in to a small space. The K-01 in Pentax K-01 is pronounced kay zero one. Now you know how to say it! The Pentax K-01 camera has been designed by Marc Newson. It has a machined aluminum case with a black, white, or yellow outer. I have to admit that seeing the yellow version of this camera put me off its looks initially. But now the black and silver, and black and white versions are growing on me. The old film camera look is rather appealing. 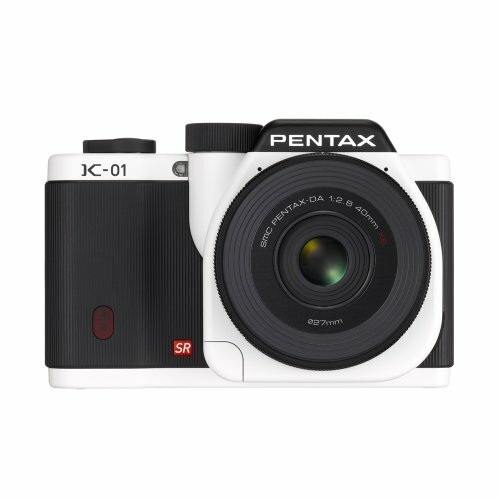 The Pentax K-01 has a 16 MP APS-C sized CMOS image sensor with low noise image capture. It supports multiple aspect ratios. The key feature of this camera for me is the support for PENTAX K-mount lenses. 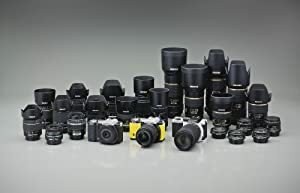 This gives you access to a huge range of Pentax lenses that can be used with this camera. If you already own Pentax lenses this will be a huge plus, but it's going to be valuable to anyone who needs access to a wide range of lenses. Does the Pentax K-01 Have a Flash? Yes, the Pentax K-01 does come with a flash built in. This is an advantage over some other interchangeable lens cameras that require an external flash, adding to the bulk of the camera and adding additional expense. The K-01 has a pop-up flash on the top of the camera. This is one party of the styling of this camera that I really like. Does the Pentax K-01 Come with a Lens? The version of the Pentax K-01 that I've included on this page includes a Pentax 40mm F/2.8 Interchangeable Lens. Do check carefully when you are ordering because there is also a body-only model if you want to start with a different lens. The Pentax 40mm F/2.8 Interchangeable Lens is very slim. Pentax are very proud of their ultra low profile 40mm lens which is only 0.36 inches thin and weighs 1.8 oz. This becomes important when you want to take multiple lenses along with you so you can swap them over. Considering the cost of an equivalent 40mm lens, the inclusion of a lens in this package makes a big difference to the overall cost of ownership for this camera. Can the Pentax K-01 Record Video? Yes, the Pentax K-01 can record 1080p full HD video (30 FPS) or 720p (60 FPS). The Pentax K-01 has lots of controls and features for working with video. This makes it an interesting option as a video camera, especially with all the lenses available. 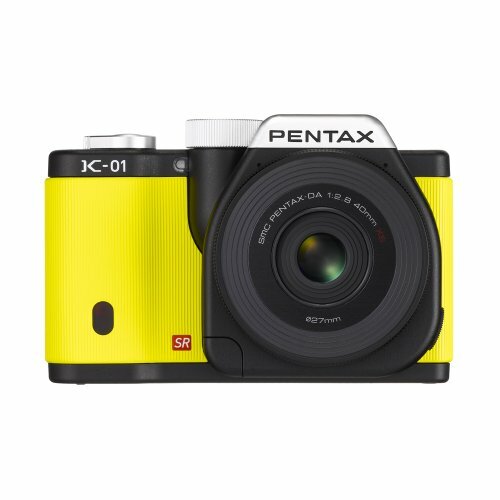 As well as all-black, the Pentax K-01 also comes in Yellow and White versions. The initial press images of the K-01 all used the yellow styling and I have to admit I thought it was a hideous camera! I'm sure there are people who will appreciate this colorway, but it's too lurid for my taste. The black and white color scheme on the other hand is very elegant. Definitely a contender against the class plain black K-01. The Pentax K-01 is certainly about design and looks as well as camera function. In this video designer Marc Newson explains his ideas behind the design. The design is going to be a key criteria for potential buyers of this camera. The camera is going to get noticed and will be a talking point. I think some people are going to love it. And others aren't going to find it appealing. And maybe some will be like me and dislike it initially and then find it growing on them. Pentax K-01 Case - coming soon. The Fujifilm X-Pro1 is a new high-end interchangeable lens camera for 2012. Can it make you leave your DSLR at home? 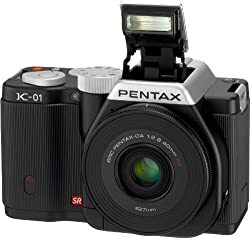 Do you like the Pentax K-01 Interchangeable Lens Camera?